October 3 2014, 1:50 p.m.
America’s forever war has come to this — the front lawn of the White House may become a kill zone. That’s crazier than whatever prompted Iraq war veteran Omar J. Gonzalez to jump the fence on Pennsylvania Avenue two weeks ago, running for the Oval Office. The Secret Service has not announced what will happen to the next homeless person with PTSD who rushes the White House, but the Outrage Machine is demanding blood. Rep. Jason Chaffetz, the Republican who sits on a committee that is investigating the September breach, warned at a hearing this week, “You make a run and a dash at the White House, we’re going to take you down. I want overwhelming force.” In the same vein, Ronald Kessler wrote in Politico Magazine that the Secret Service should have tried to “take out” Gonzalez. Call me crazy, but I’m glad the Gonzalez saga ended with him being wrestled to the ground in the East Room rather than shot dead on the lawn outside. We shouldn’t be surprised by the over-reaction. 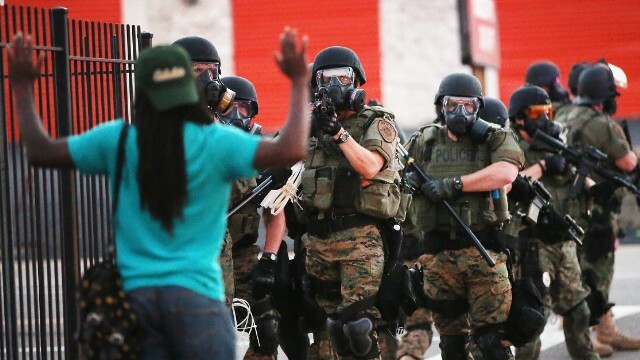 There have been armored police vehicles and camo-clad officers with ballistic helmets and assault rifles on the streets of Ferguson and other places, so by the same logic, shouldn’t the guardians of the White House be visibly legion and have their fingers on the trigger, fully automatic? Welcome to the nation’s capital, hope you have a nice day, don’t make any quick movements, deadly force may be used, mental illness is no excuse. Invade, torture, drone, shoot — these are the four horsemen of the post-9/11 apocalypse. Call me crazy, but I’m glad the Gonzalez saga ended with him being wrestled to the ground in the East Room rather than shot dead on the lawn outside it. Yes, there’s a happy medium we should strive toward — stopping intruders without deadly force before they get to the front door — and hopefully the Secret Service will find a way to make that happen, once it finds a new director. But there’s bloodlust in the air, it’s ugly, and the people who will suffer because of it include the weakest members of society—the mentally ill who do not get the medical attention they need from the government that should be their safety net, and who do stupid things like charging the White House, which gets them violent attention they don’t need. When I reported in authoritarian states, including communist ones, I often saw the sort of hyper-vigilance over Dear Leader’s abode that our professional hotheads are asking for. If you lingered in front of one of Teodoro Obiang’s many mansions in Equatorial Guinea, you could be questioned or arrested; same goes for Vladimir Putin’s crib in Moscow. In other countries, just asking where a leader lives can get you in trouble (hello North Korea). And you can forget about strolling by 10 Downing Street — even it’s closed to the public. America has been different; our presidents did not live in fear, did not choose to surround themselves with hair-trigger force. It shouldn’t be too much to ask for — let’s have a reasoned response to the Secret Service’s lapses. Nobody got killed. Remember, that’s a good thing.